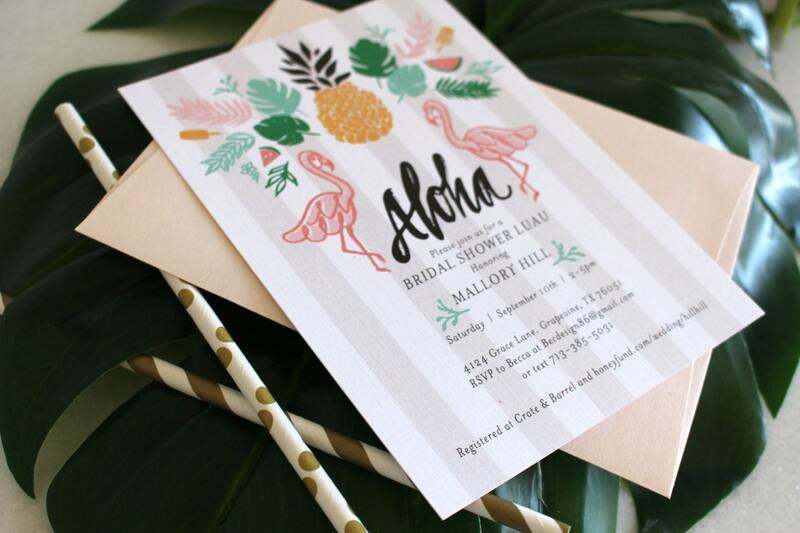 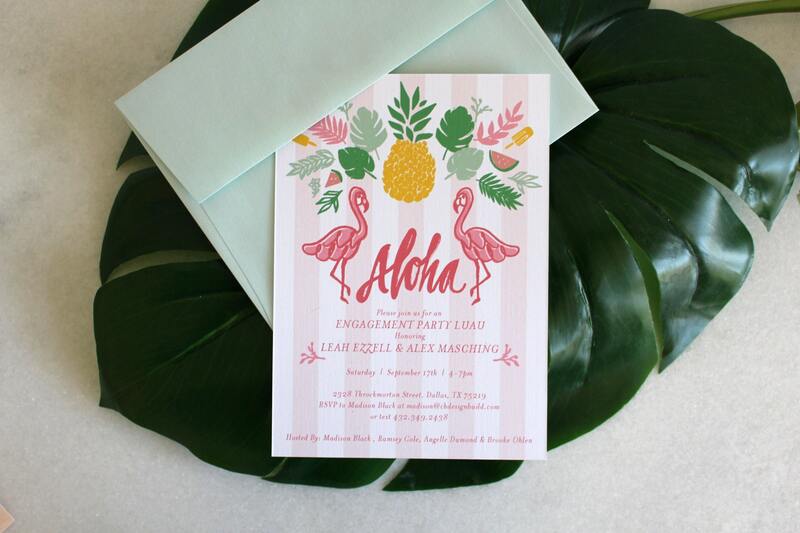 Juicy pineapples, monstera leaves, thick stripes and flirty flamingos! 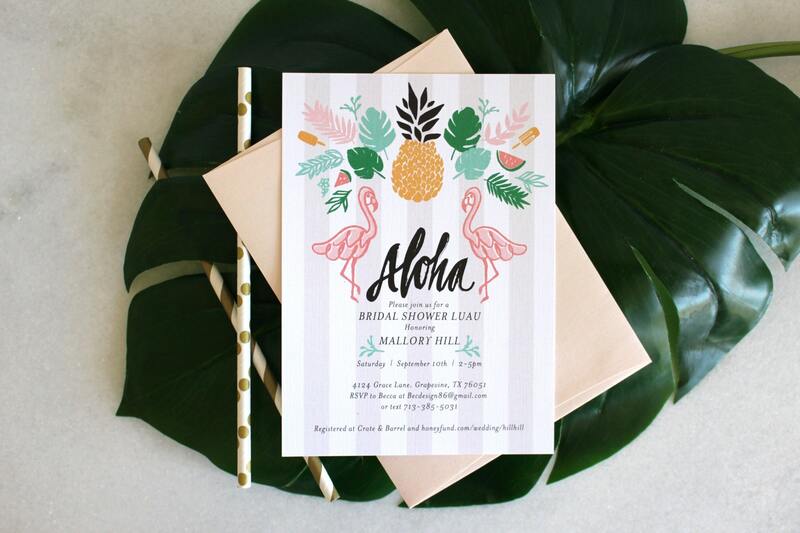 This bridal shower invitation has us asking if we can join the party too! 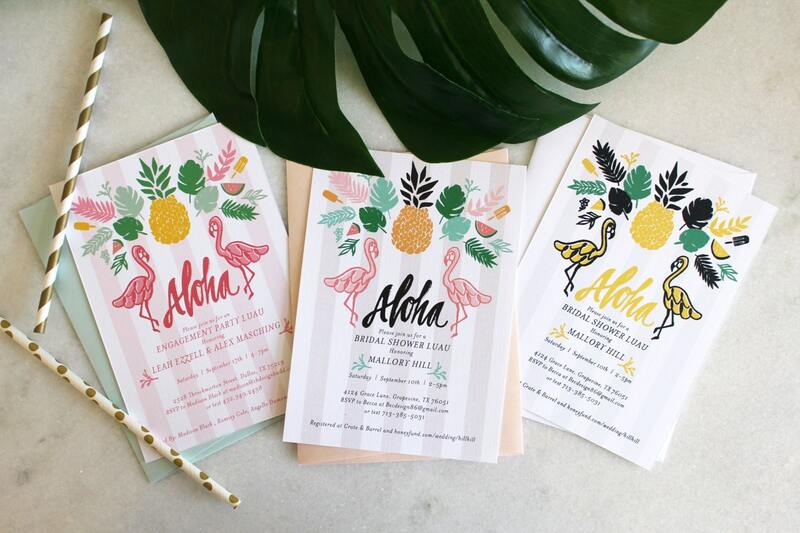 Choose between three color palettes: blush & mint, pink & green, or black & yellow. 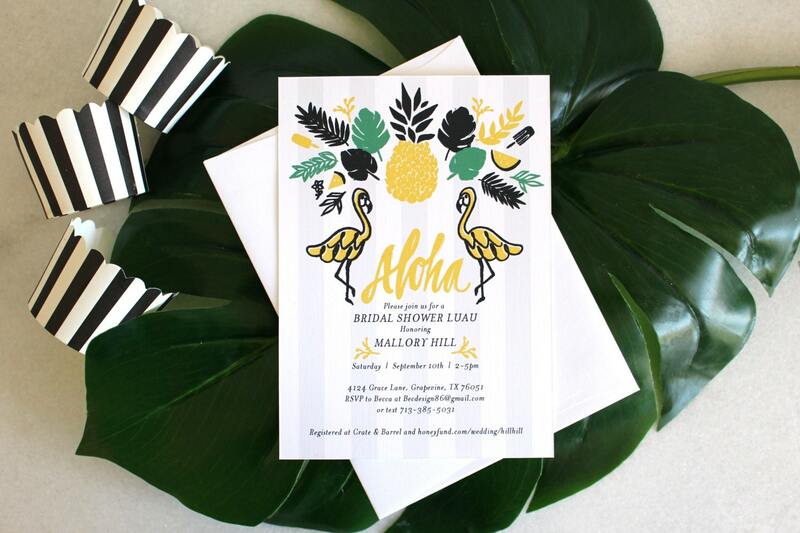 #partytip : spray paint pineapples gold and use them as decor!